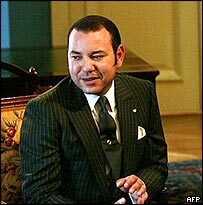 A Moroccan magazine has taken the unprecedented step of publishing details of King Mohammed VI's salary. The French-language magazine Tel Quel says the monarch earns less than a typical company director in the developed world, under $45,000 a month. The annual expenses of the royal court are said to be around $250m. Correspondents say the publication of such figures is a unique event in the Arab region, whose unelected leaders are some of the richest in the world. King Mohammed has been spearheading a drive to modernise his society and introduce a culture of accountability, correspondents say. He has made the fight against poverty in Morocco one of his priorities, earning him the name "guardian of the poor". Since coming to power in 1999, he has embarked on a series of political and economic changes. Moroccan king: despot or benevolent autocrat?